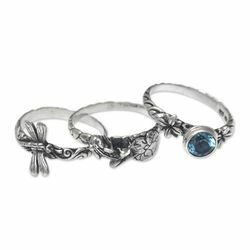 These three rings combine to form an effervescent style. Made by Kadek Hendra, a Bali-based artisan born into a family of silversmiths, they showcase generations of unique artistic talent. Give a one-of-a-kind gift.